Ordinarily a by-election in a safe Conservative seat in Lincolnshire would barely raise an eyebrow in Westminster, but these are no ordinary times. On Thursday all eyes will be on Sleaford and North Hykeham, as voters go to the polls to replace Stephen Phillips, the Tory MP who quit over the Government's handling of Brexit. And in a constituency that voted to leave the European Union - Brexit is dominating the contest, with UKIP hoping to cause an upset. Our political correspondent Daniel Hewitt reports. Newark's new Conservative MP began his role today in the constituency after beating off competition from UKIP to claim the seat. Robert Jenrick held off the challenge of UKIP, and even though his winning majority was far less than the Tories in the last general election, it's the party's first by election victory while in power for more than 20 years. Newly elected Newark MP, Robert Jenrick, declined a drink on the job as he re-opened a local pub hit by flooding. Conservative, Jenrick, defeated closest challengers, UKIP, despite their majority being slashed by 9,000 votes. Cutting the ribbon (blue, of course), Jenrick wished the pub much success and said he was delighted that this was his first job as local member of parliament. Danny Alexander has said the Liberal Democrats' poor performance at the Newark by-election was a "deeply disappointing result," but was due to "tactical voting" from the party's supporters. The Chief Secretary to the Treasury was asked why the party had slumped from a 20% share of the vote to just 2%, a result that saw them lose their deposit. 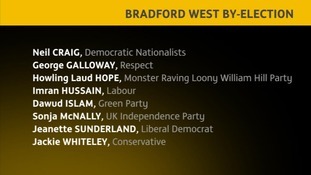 He put some of the decline down to voters not wanting to see Ukip win the seat from the Tories, saying: "The last thing our supporters wanted was to be represented by Ukip in the House of Commons, therefore there was a lot of switching to other parties." Defeated UKIP candidate, Roger Helmer, says his party will no turn their attentions to their strategy for the 2015 General Election - but first he needs a good nights sleep. Controversial Helmer was beaten to the Newark seat by Conservative Robert Jenrick, but UKIP did manage to slash the Tories' majority by around 10,000 votes. 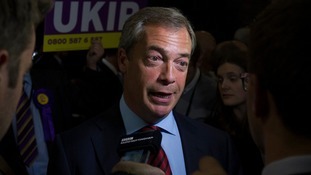 Ukip leader Nigel Farage conceded his party had been defeated during the by-election, but hailed the result as Ukip's "strongest ever by-election performance". Speaking after the result, Mr Farage said: "I think there'll be an awful lot of Conservatives with a majority of less than 10,000 who will look upon this result in sheer horror." But he admitted he would have liked to have done better in Newark. "Yes, I mean the majority's halved, but nonetheless for Ukip it's still a good night's work," he said. David Cameron has hailed the Newark by-election result as "very good for the Conservative Party" but he said the Tories needed to "work between now and the next election" to win back voters from Ukip, who came out second in the by-election. The PM was speaking in Bayeux, France ahead of D-Day commemoration events. "The job isn't finished yet but we are on the right track, let's stick at it."